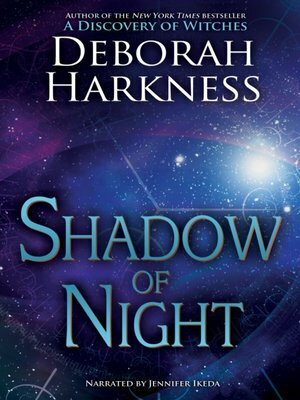 Best-selling author Deborah Harkness delivers Shadow of Night, the second riveting installment in her All Souls trilogy. Reluctant witch Diana Bishop and geneticist vampire Matthew Clairmont are surrounded by spies and secrecy in Elizabethan London. As Diana seeks a tutor to help her master magic, Matthew must face a troubled past he thought he'd left behind. Meanwhile, the mystery surrounding the enchanted text Ashmole 782 continues to deepen.